My husband has a new job. One of the perks of the new job is that he gets to take each kid to Disney once. While Disney is fabulous souvenirs can break the budget quickly. 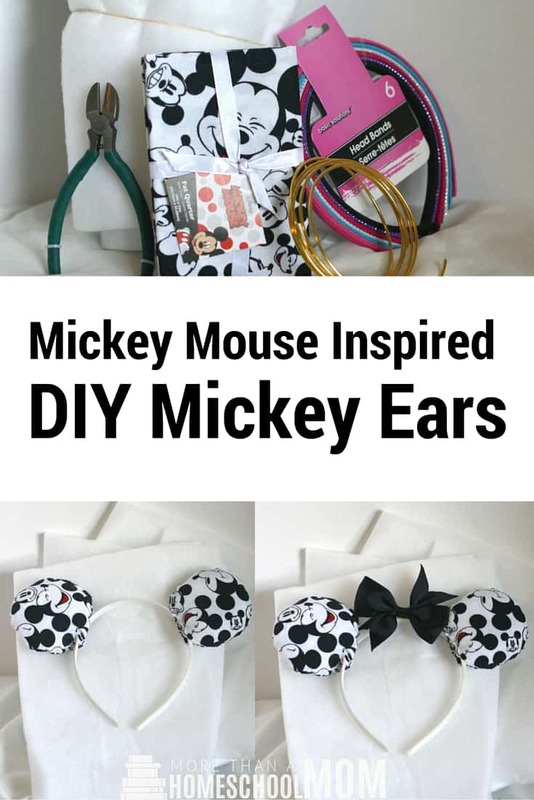 I decided to save a little money for C’s trip by making him these Mickey Mouse Inspired DIY Mickey Ears. He is going to have so much fun rocking his unique Mickey ears and I won’t have to pay $15-$20 for a pair of Mickey ears. 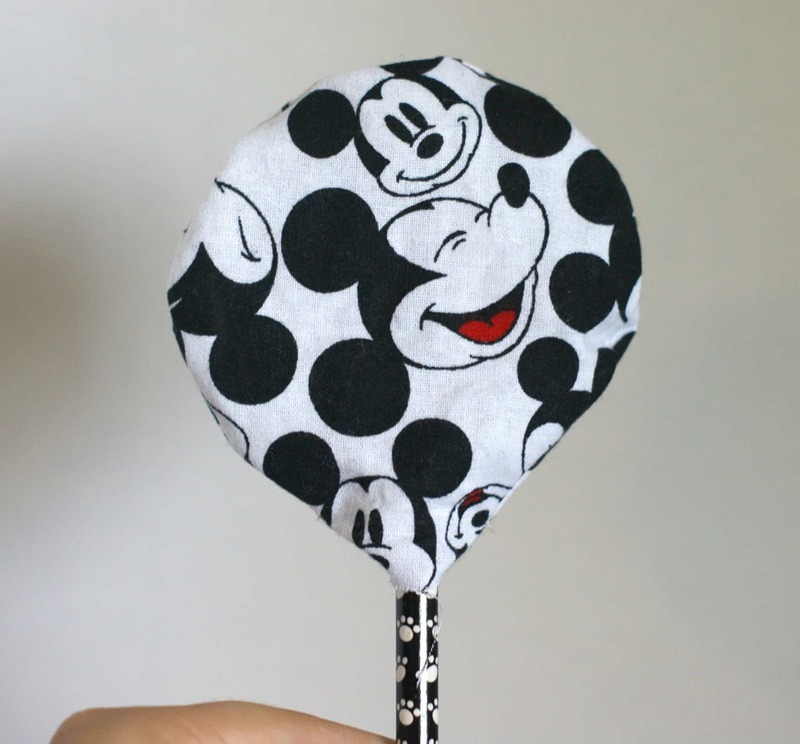 If you are trying to cut costs this is a simple craft to do before you head to the parks. I also included one with a bow to give you an idea of the difference that makes. Headband – I picked up a pack of 6 for $1 at the dollar store. 1/4 Yard Quilt batting (Thick) – Mine was $1 at Wal Mart. 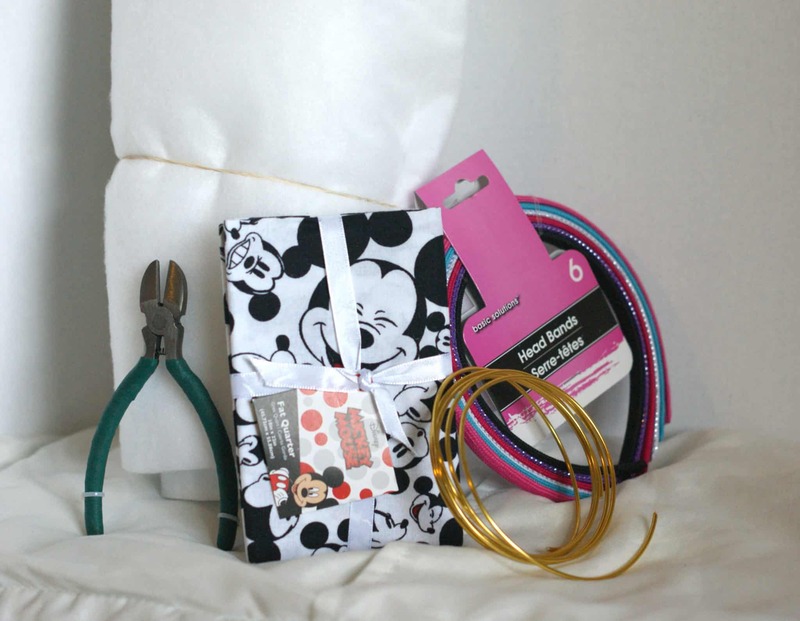 Hair Bow (Optional) – I used this set because I was able to get a lot of them for my daughter. You can use whatever bows you have as those take a few weeks to arrive. 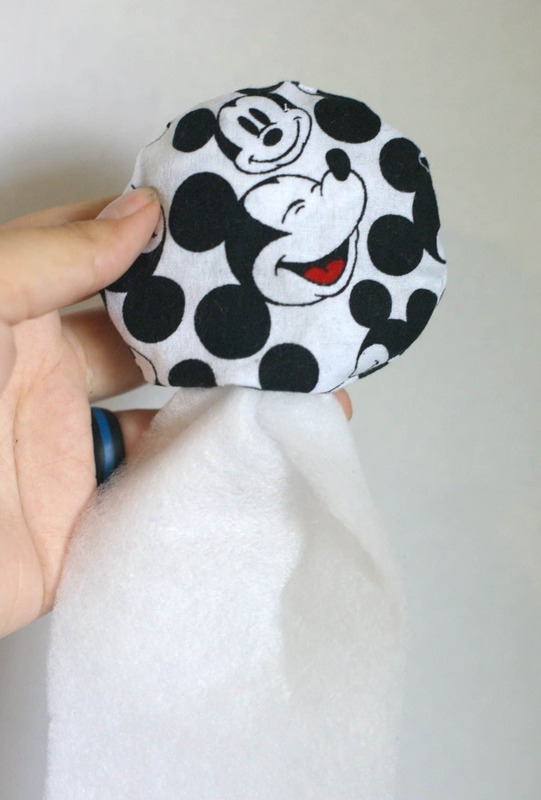 I found a much easier way to handle the fabric portion of the ears! I definitely recommending trying this video as it simplified things so much! Start by ironing your fabric. After you iron your fabric flip it upside down. Decide what part of your fabric you will want visible on your ear. Use a crayon to draw your circle. – If you want larger ears go around the outside of the circle. If you want smaller ones draw it on the inside. Sew along the crayon circle you drew leaving an opening at the bottom. 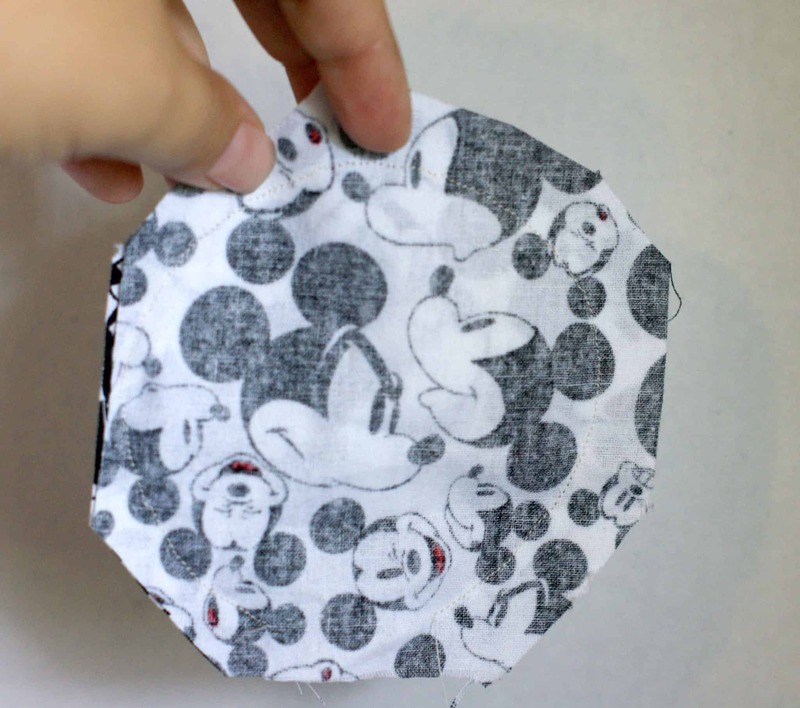 Use a pencil to push the fabric through to the other side and make sure to round out all edges. Stuff the inside of your ear with batting. I suggest filing it as full as you like. Do it the way that you like the ear. 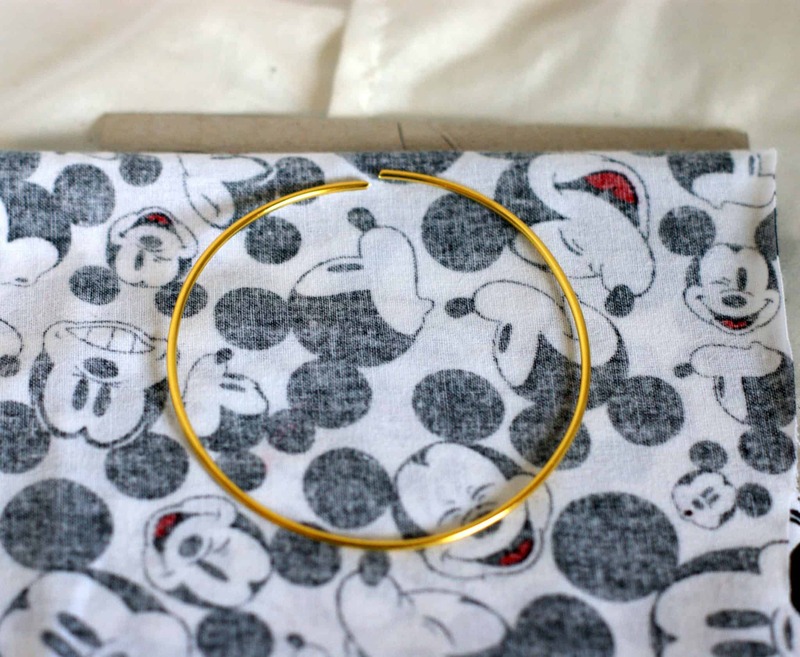 Use your needle and thread to sew the fabric around your headband and secure the ears to the headband. I added a stitch looped through the bottom of the ear and around the bottom of the head band for more durability.